Cal-Mil 1254 Mission Two Tier Iron Hutch - 24" x 12" x 24"
Whether used as a stand alone storage shelf or on mobile serving stations to display appetizer or desserts, this Cal-Mil 1254 Mission two tier iron hutch is an attractive addition to your restaurant, coffee shop, buffet, or banquet hall. The serving hutch's two shelves provide ample space to store extra dinner plates, glassware, or utensils for quick access. 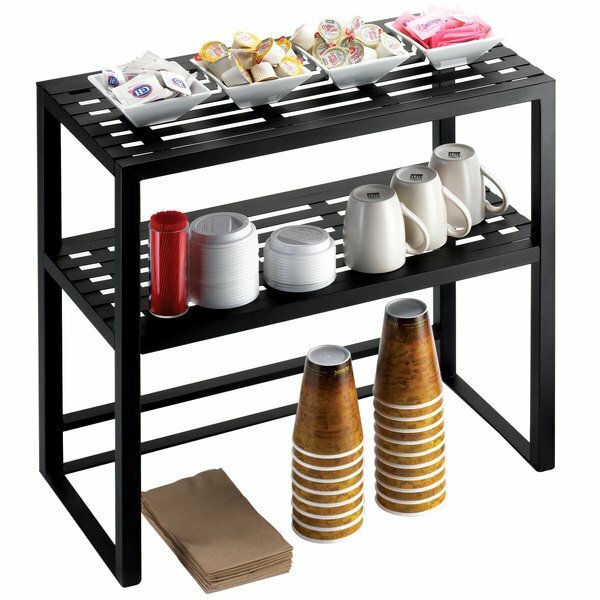 Or, create a self-service area for coffee mugs, bowls, and condiments at your hotel breakfast bar or coffee shop. The Cal-Mil 1254 Mission two tier serving hutch is made of durable steel that is designed to look and feel like wrought iron for excellent presentation and durability. 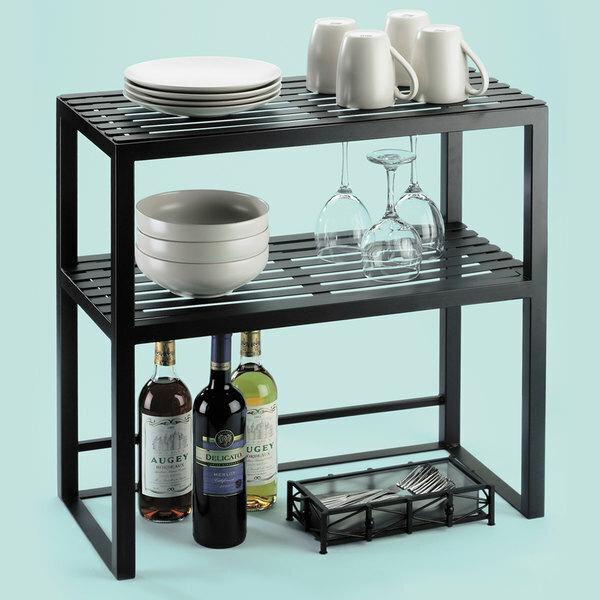 Overall User Rating: Cal-Mil 1254 Mission Two Tier Iron Hutch - 24" x 12" x 24"
This is a small little unit that is nice for holding bottles of wine or small bowls and plates!! Easy to have on a counter or as a stand alone piece! !